This is an advertorial in collaboration with L'Occitane. 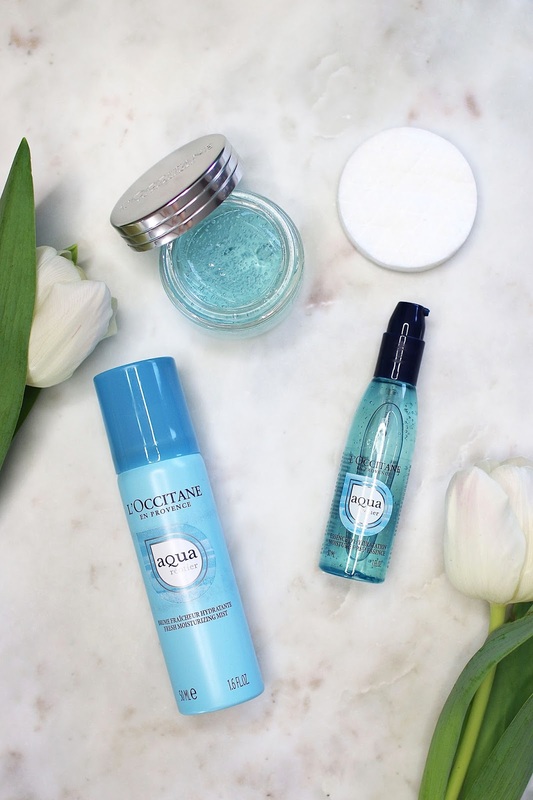 This spring season L'Occitane are introducing their newest skincare range: Aqua Réotier. I've been a long-time fan of their skincare products so I was very excited to give this new collection a try. The products are enriched with hydrating hyaluronic acid and calcium rich Réotier water known for its properties to help skin maintain its hydration barrier and retain moisture. This range was designed to improve the skin's natural hydration leaving it replenished, radiant and visibly plumped. L'Occitane has consistently been a favourite for natural and gentle formulas for my skin type. My primary concern at the moment is to find products with enough moisture to hydrate my dry and sensitive skin. That's why this range has come along just at the right time. The collection includes a cleanser, a serum, two moisturizers and a facial mist. 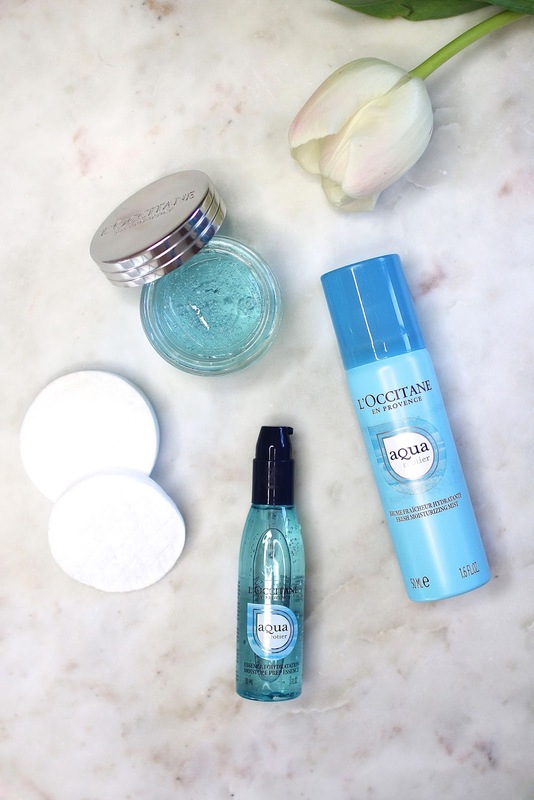 The Aqua Réotier Moisture Prep Essence* is the perfect glow booster for your skin. It works as a pre-moisturiser to give the skin a first layer of moisture and reinforce the hydrating properties of your skin care routine. 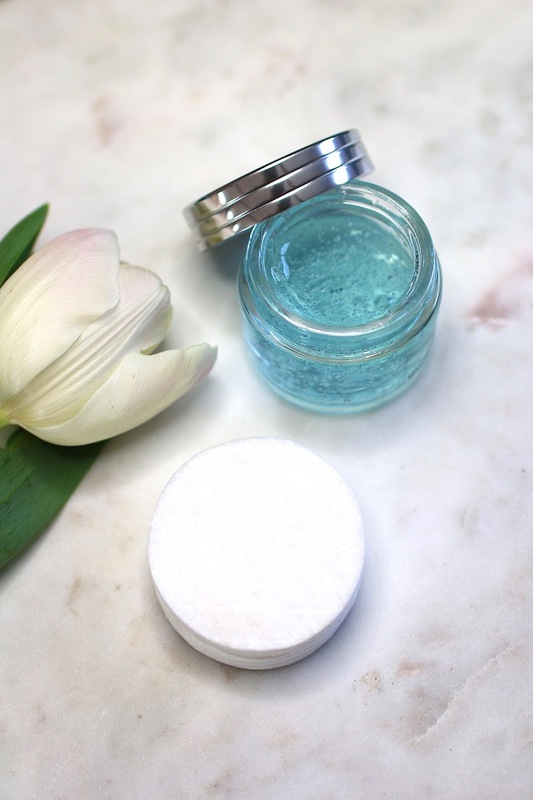 Apply a small amount to a clean face morning and evening in light tapping motions. The essence turns into a water-like texture to instantly refresh and plump the skin. The Aqua Réotier Ultra Thirst-Quenching Gel* is a refreshing and cooling face gel that comes in a beautiful glass jar. It has a very soft consistency and instantly recharges the skin with water leaving it replenished, radiant and plumped. This one absorbs very quickly into the skin and doesn't leave a sticky residue. I find that it gives my skin a natural, healthy glow and works amazing underneath foundation. The Aqua Réotier Fresh Moisturising Mist* can be used as an extra skincare step, as a fixing spray for your makeup or when you are out and about and feel the need for some extra moisture or refreshment. It comes in a handy spray can that easily fits in your handbag. I personally love using this mist as a last step in my night time skincare routine. Just shake the can and start spraying the fine mist on your face from a distance. It makes my skin feel extremely hydrated and you can instantly feel the refreshing, cooling effect. 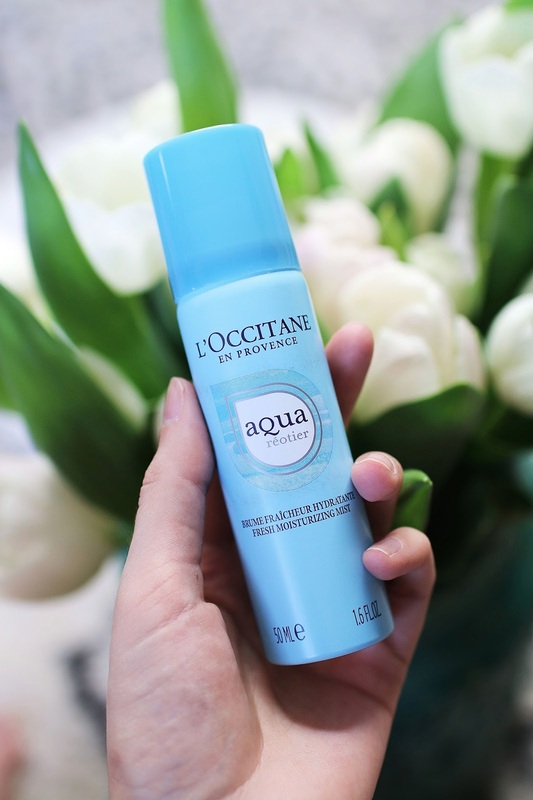 Have you tried anything from the new Aqua Réotier range?